Cortona is an ancient city of Etruscan origin, which still preserves its ancient walls. Over the centuries many prominent people lived here, starting from the Renaissance period (Luca Signorelli and Beato Angelico), to the Baroque (see Pietro Berrettini), up to the Futurist period (Gino Severini). 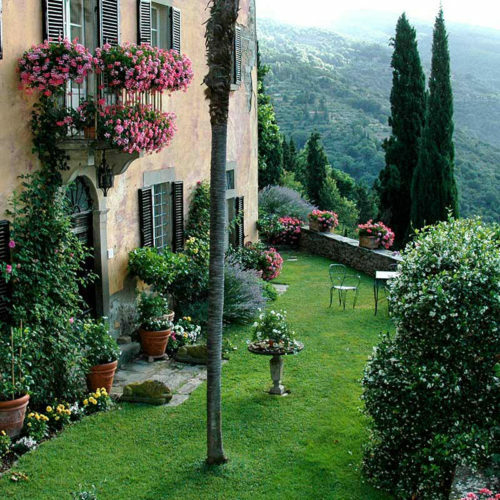 Cortona is also at the centre of the bestseller Under the Tuscan Sun by Francis Mayes, who spent part of the year in her Bramasole villa in Cortona. Cortona is located in south eastern Tuscany. It overlooks the Valdichiana and visitors can enjoy a magnificent breathtaking 180-degree view, up to the Umbrian borders, with a glimpse of the Lake Trasimeno. Cortona still preserves many Etruscan remains, such as the still intact ancient walls. 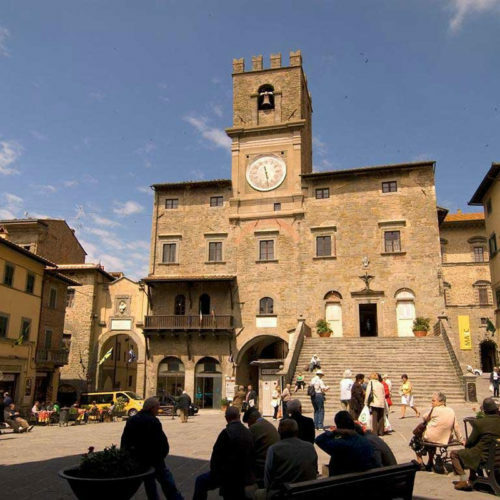 Cortona is definitely a strategic starting point to reach famous tourist destinations. What is most fascinating about small Cortona is the unique atmosphere and magic that can be felt in his alleys. It feels like being in a large living room of a big house where everyone knows each other, and where they can stop and be reconciled with themselves for a day. 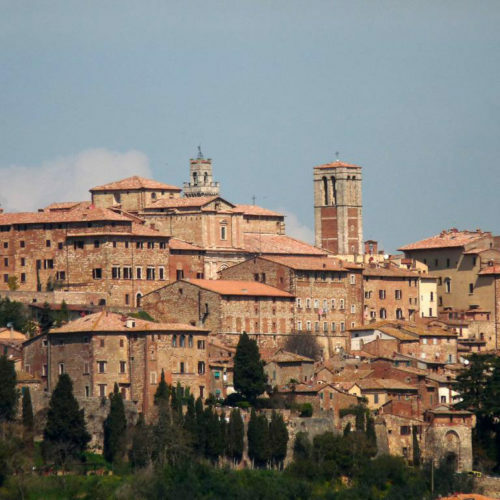 If you have a culinary passion, Cortona is the perfect place for you as the town center is full of restaurants, taverns, pizzerias which mainly serve traditional Tuscan cuisine. There is no shortage of typical wine bars where you can have lunch or dinner or simply taste cheeses, accompanied by excellent local wines. Throughout the year, Cortona is rich in cultural events such as On the move festival, exhibitions, concerts or events related to tradition and popular culture.